Shares in Vertex have soared after the company announced that tens of thousands of cystic fibrosis (CF) patients could benefit from treatment for the first time. The company is a pioneer in bringing disease-modifying treatment to CF patients, but hasn’t achieved overnight blockbuster success since it launched its first treatment for the disease, Kalydeco, in 2014. That’s because Kalydeco and its follow up Orkambi have only been of use to a subset of CF patients. But now the company is gaining real momentum, and its new drugs look set to bring it to a new growth phase. The firm says it has selected the two ‘Next-Generation Correctors’, VX-659 and VX-445, to move into phase 3 trials, and will form a three-way combination which could help 90% of patients of CF patients. This would represent a major expansion on Kalydeco and Orkambi, which can treat up to 40% of CF patients, or about 34,000 patients. The company sees the new drugs helping to expand its reach to between 44,000 and 68,000 CF patients worldwide. The decision to advance VX-659 and VX-445 into phase 3 was based on initial phase 2 data, including new data from ongoing phase 2 studies, which showed major improvement in lung function for patients. These showed mean absolute improvements in percent predicted forced expiratory volume in one second (ppFEV1) of up to 13.3 and 13.8 percentage points from baseline through four weeks of treatment for the triple combination regimens with VX-659 (400mg QD) or VX-445 (200mg QD), respectively, in people who have one F508del mutation and one minimal function mutation (F508del/Min). Kalydeco alone is not effective in these patients, but the new drugs are ‘correctors’ of the CFTR protein, the defective gene that causes CF. 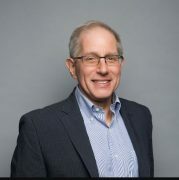 “These results support the selection of both the VX-659 and VX-445 triple combination regimens and underscore the potential for these regimens to provide significant clinical benefits for up to 90% of people with CF,” said Jeffrey Chodakewitz, M.D., executive vice president and chief medical officer at Vertex. 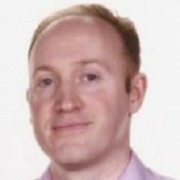 After hours trading saw the company’s share price rocket, with investors convinced the news would help the company expand revenues once the drugs gain approval. The news was announced as part of Vertex’s Q4 results for 2017, which showed that combined sales of Kalydeco and Orkambi were $2.17 billion last year, and it expects this to grow significantly in 2018. 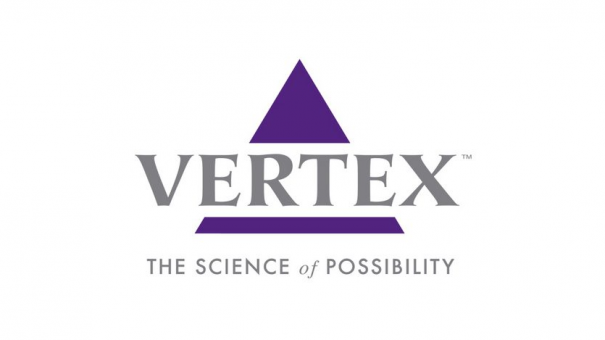 Analysts believe Vertex could now grow its CF revenues to $9 billion, with relatively little competition from other companies. It already has another new combination filed with regulators, Kalydeco combined with new agent tezacaftor, with approval in the US and Europe expected in the first half of 2018. Vertex is already looking beyond the triple therapy concept, towards a Gene Editing mRNA drug, which it says could help the entire global population of CF patients, which is up to 75,000 patients worldwide. This mRNA research is being conducted by Vertex in collaboration with Moderna, the companies launching a collaboration in 2016. Perhaps inevitably, the good news for Vertex makes it an obvious takeover target, in an M&A market which is heating up fast. Vertex’s market capitalisation currently stands at $42.2 billion at the end of 2017, which big pharma buyers would need to offer as much as $60 billion to gain traction with its shareholders.